Explanation: Comet NEAT (Q4) was quite photogenic earlier this month. 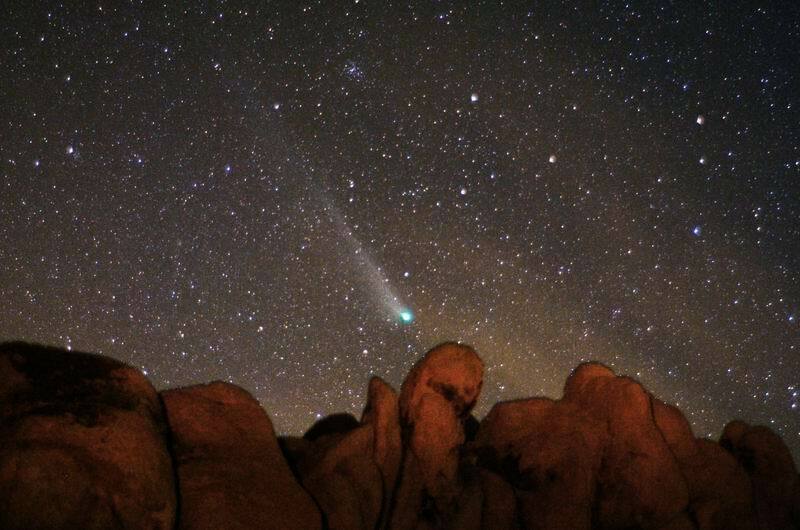 Although the head and part of the tails of Comet C/2001 Q4 (NEAT) were visible to the unaided eye, the best views of the colorful tail were revealed only later by cameras able to expose for long periods. A human eye can accumulate light for up to 1/10th of a second, as opposed to the above camera image, which used an exposure of thirty seconds on May 8. Visible is a long blue ion tail, a blue coma surrounding the comet's nucleus, and a shorter but brighter sunlight reflecting dust tail. Q4 is dropping more from easy visibility each day as it recedes from both the Earth and the Sun. 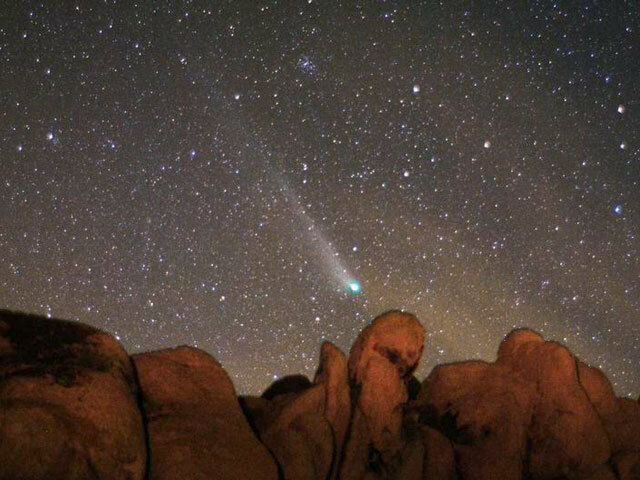 Another separate naked-eye comet, Comet LINEAR (T7), should remain bright into June.